Can Homebuilders Increase Productivity to Help Close Gap Between Housing Supply and Demand? Yesterday’s Census Bureau report for October indicated that we are falling short of adding homes to the market in the short-term, as completions decreased 6.5 percent compared with October of last year. Housing starts also decreased 2.9 percent in October compared with a year ago. Most notably, ground breaking for single-family homes fell 2.6 percent compared with last year. However, there was some modest help for home buyers as the inventory of homes under construction increased by 3.6 percent compared with a year ago, indicating additional new increases in the supply of homes are on the way. 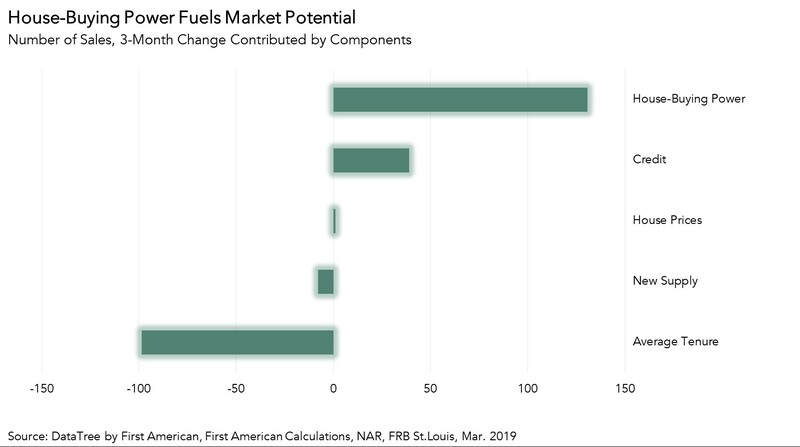 The overall number of permits issued, which can signal how much construction is in the pipeline, decreased by 6.0 percent compared with last year. This decrease in permits echoes the most recent homebuilder sentiment survey, which remained positive, but has fallen to the lowest point in almost a year, as affordability concerns have grown. A closer look reveals a bright spot, however, as permits for multi-family homes (2 to 4 units) increased 8.6 percent from last year. Despite the decrease in housing completions reported yesterday, housing completions has trended upwards since the end of the recession, which has narrowed the gap between housing supply and demand to a three-year low point. 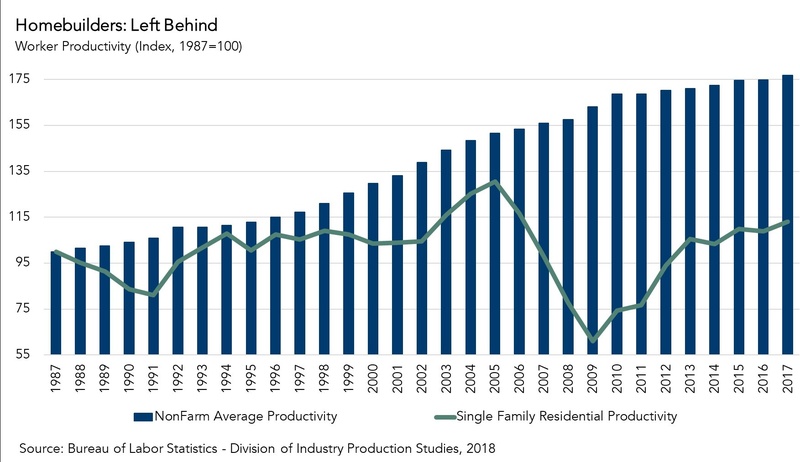 In order to close the gap and meet housing demand, the residential construction sector must ramp up productivity and deliver more housing supply. However, adding labor amid an increasingly tight labor market is difficult. So, how can the industry deliver more homes, if it can’t increase labor? Innovation in how residential homes are constructed may be the answer. Over the past 30 years, productivity growth in the residential construction industry hasn’t kept pace with that of the rest of the economy. While workforce productivity, measured by the hourly output of the country's economy, has increased approximately 76 percent since 1987, productivity in the construction industry, specifically in the single-family construction sector, has increased by only 13 percent. The lack of productivity growth can be partially attributed to the housing crisis at the end of the last decade, which led to a slowdown in construction all over the country. The number of people employed in residential construction decreased by 45 percent from its peak in April of 2006 to its trough in January of 2011 and has yet to fully recover. Still, there are reasons to think efficiency gains will be greater in the decade to come. There are nascent efforts by eBuilders to further deploy factory assembly techniques to expedite the on-site nature of homebuilding. A recent study by Evercore ISI shows that some companies have already begun to embrace the eBuilder option, choosing to use automated, indoor factories to speed up framing construction times and improve labor productivity. As these efforts mature, they may help homebuilders meet rising demand for homes. The number of building permits issued, a leading indicator of housing starts, decreased by 6.0 percent year over year. Housing starts decreased by 2.9 percent, compared with a year ago. The stock of housing units authorized to be built increased by 10.4 percent, and the number of housing units under construction increased by 3.6 percent on an annual basis. The number of completed homes, which is additional new net supply added to the housing stock, decreased by 6.5 percent compared with a year ago. The annual decrease in completions signals a slowdown in immediate housing supply relief. In October, the overall pace of housing starts, at 1.23 million units, is a 1.5 percent increase from the previous month. Based on the less volatile three-month moving average, the volume of total residential (single- and multi-family) housing starts is 15,000 more than September 2018, and 37,000 units higher than a year ago. An estimated seasonally adjusted annualized rate of 1.11 million housing units were completed in October, representing a 6.5 percent decrease from the October 2017 figure of 1.19 million.